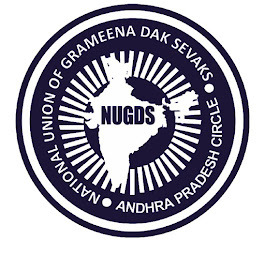 NATIONAL UNION OF GRAMEENA DAK SEWAKS AP-CIRCLE: GDS Gratuity order released on 27.06.2018 is illegal. 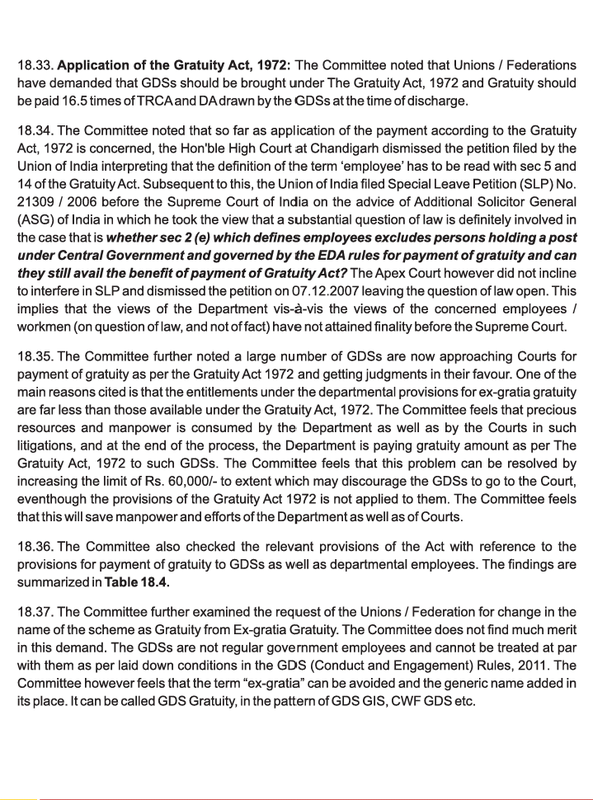 GDS Gratuity order released on 27.06.2018 is illegal. This is the present Gratuity order. "Granted at the rate of halfmonth's basic TRCA drawnimmediately before dischargeof service, for each completedyear of service subject to amaximum of Rs.1,50,000/- or 16.5times basic TRCA last drawn,whichever is less". 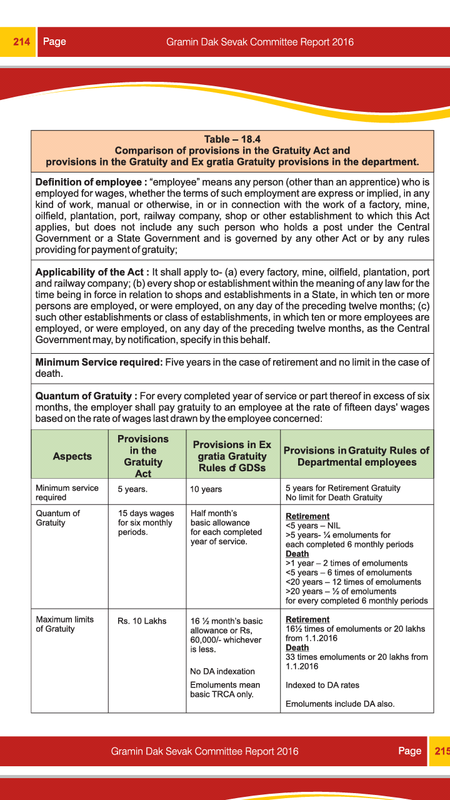 Minimumservice prescribed for elig ibilityof Ex-gratia gratuity is 10 years. But how Department issue order with a maximum ceiling of Rs.1,50,000 unscientifically. So, all senoir GDS are requested not to worry regarding gratuity.We will definitly win in this issue in the court of law. plz.read below recommendations of GDS Report. 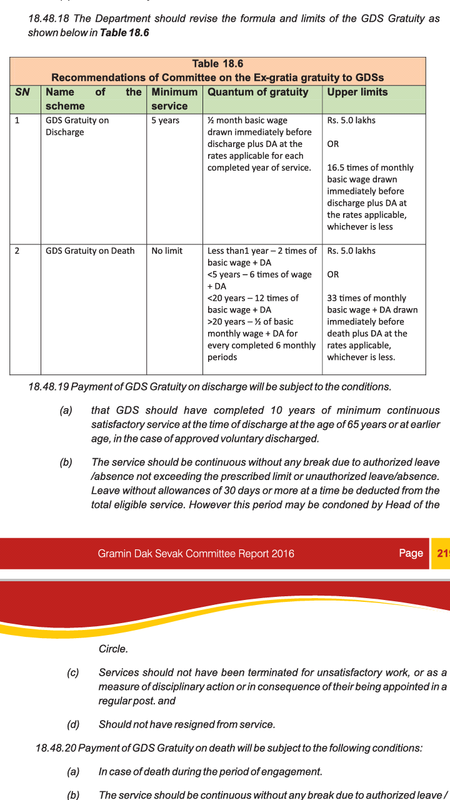 Recommendations of Kamalesh Chandra Committee Report regarding GDS Gratuity. Sir transfer wala sifarish ka order hoga ya nahi. Please reply. Sir, my service is 35years, how much amount can I get? Sir what about arrears instead of 60000 only 25000 we r getting..